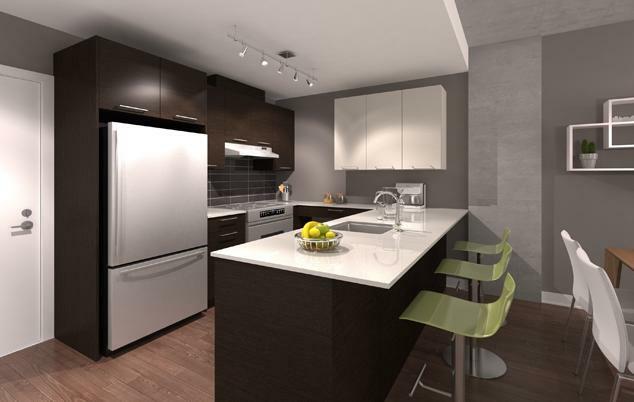 Located minutes from downtown Montreal, Muz Condos has all the advantages that come with living in The Village – fast access to the subway, stroll-worthy boardwalks along the waterfront and all the fun and excitement of Quartier des Spectacles just steps away. 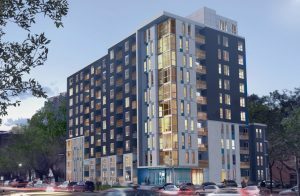 And starting this weekend, the Samcon development will open its sales centre for would-be buyers to check out all that the 10-storey condo has to offer. The sales centre kick-off for Muz is part of the developer’s participation in the “Visites Libre,” the open house weekends taking place in Montreal on March 16th and 17th and March 23rd and 24th. Though it’s worth visiting any of the ten Samcon projects that will be taking part, the condo promises to offer a unique take on urban living. 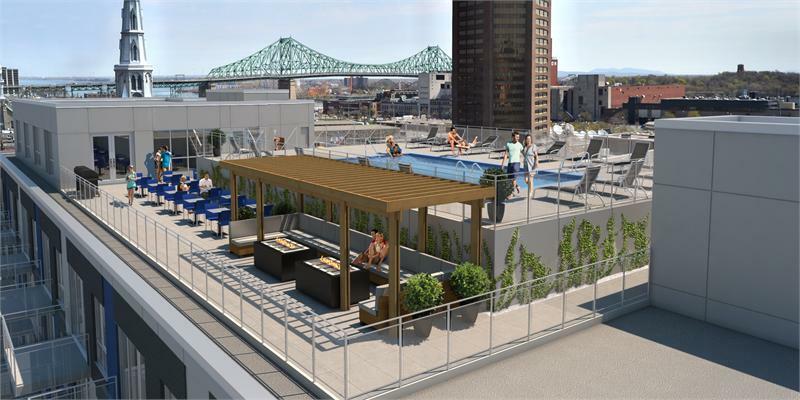 How many developments in Montreal can boast of a rooftop pool? 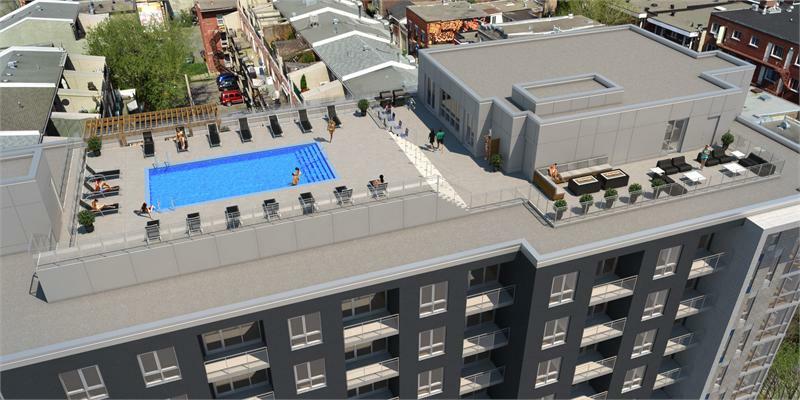 On the highest level, Muz residents will be able to splash above the city streets in an outdoor, heated pool. 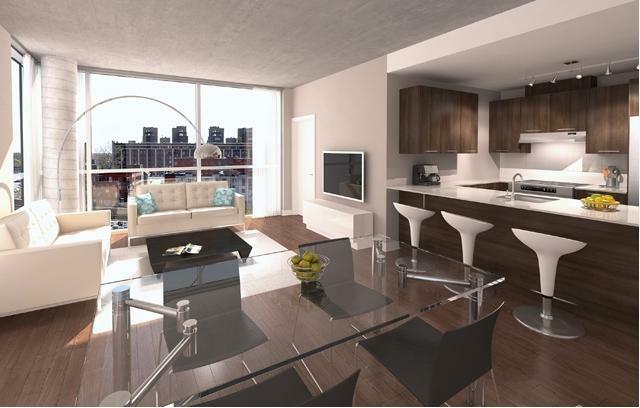 The terrace will also come equipped with lounge chairs and outdoor showers for maximum convenience. If swimming’s not your thing, the peak of the building will also have barbeques for all your grilling needs and an enclosed gym surrounded by glass walls. 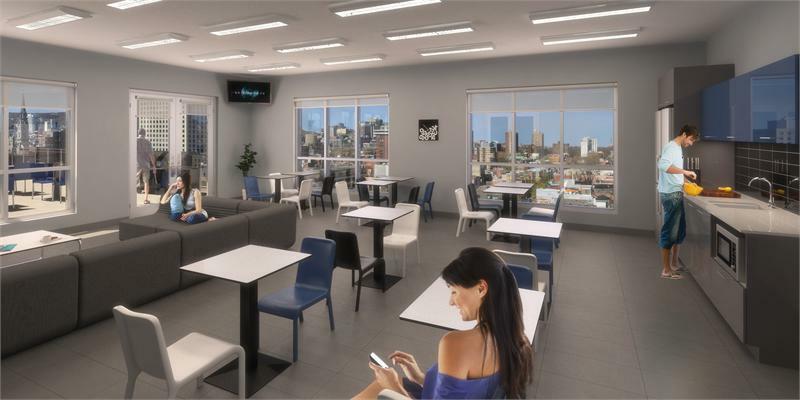 The suites will mimic the great city views of the rooftop amenities: thanks to 9-feet ceilings and ample windows, residents can enjoy observing Montreal from their own homes as well. For more information contact rouellette@samcon.ca.